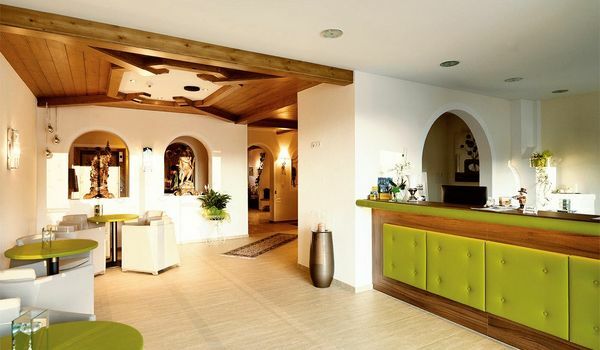 Summer holiday in the Tyrolean mountains – holiday in Tyrol – hotel Jerzens – Pitztal hotels. 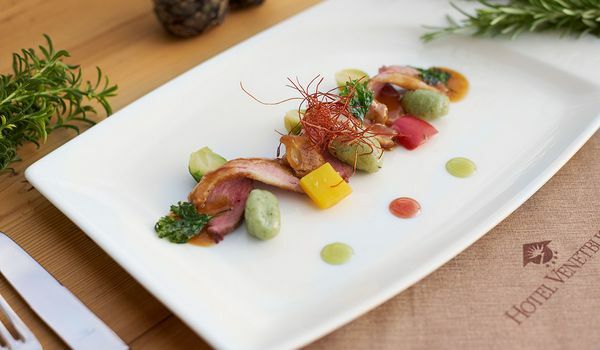 Hotel Venetblick, at over 1,500 metres above sea level, can be described as being away from reality in a purely geographical sense and calling it privileged would not be wrong. After all, the idyllic high plateau on which Hotel Venetblick in Pitztal is located, is not only one of the sunniest natural paradises in Tyrol, you are really living here. And in the truest sense of the word! After all, in winter the ski slopes start just outside the front door and in summer you can set off on the most beautiful hikes and mountain bike tours directly from Hotel Venetblick. The panoramic view is a bit more impressive in a box seat like this. The sun comes up a little bit earlier and goes down later than it does in the valley and you can enjoy it all the more thanks to the wonderful peace and quiet; there is actually only one word – privileged! Summer at Venetblick ‘Mountain. Dream. Holiday’ is something very special. The hiking and sport area – insiders like to call it one of the most beautiful in the whole of Tyrol – starts directly behind the hotel. And you will see: Summer in Pitztal is a particular treat for the eyes and the feet: 380 km of marked hiking trails, biking trails up to 2,500 m, glacier safaris up to 3,440 metres above sea level. Cycling tours on romantic alpine pastures, over 140 kilometres of Nordic walking, swimming pools, bathing lakes, climbers paradise, riding schools, 60 kilometres of signposted walking routes. 50 three-thousand-metre mountains, solitary mountain lakes and magical places of spiritual energy for relaxation and regeneration. Rafting, canyoning, paragliding, kayaking and canoeing, climbing and trekking tours in high alpine regions. ... Pure EPO! For a change to mountain experiences, we recommend a detour to state capital of Innsbruck, Kaunergrat Nature Park, Imst Rosengartenschlucht gorge or to the longest mountain roller coaster in the world, the idyllic bathing lakes or to Pitzenklamm gorge with the highest footbridge in Austria. When young and old forget the world. Hotel Venetblick, and everything connected with it, offers a real summer holiday paradise for the whole family. Located at the top of the Hochzeiger, ZirbenPark enchants all of the senses in the midst of one of the most beautiful pine forests in Tyrol. With games, fun and interesting facts about the rare ‘Queen of the Alps’. With the impressive Zirbenzapfen tower, with a kilometre-long adventure trail, with Pitzi and Gratsch. At Pitz Park in nearby Wenns, you can look forward to a natural bathing pond, rafts, diving platforms, football and beach volleyball. Pitzi’s Kids Club has a diverse programme on a daily basis. Experience the adventure park, riding, climbing, canyoning, rafting, climbing safaris, treasure hunts, splashing around, the longest summer alpine toboggan in the Alps ... Experiences that your children will tell their children about! Families also take advantage of our special summer offers with the all-drinklusive package: All drinks, backpacks, hiking poles, etc. are already included in our prices and packages! Experience a variety of hiking holidays in the Tyrolean mountains with the Glacier Park Card: With this card, you have free admission to 10 mountain railways in Pitztal, Kaunertal and Imst, the Kaunertal Glacier Road and many cultural partners. You also get discounts with 17 bonus partners upon presentation of your card. Hotel Venetblick in Jerzens, Pitztal is in close proximity to the Hochzeiger mountain railways’ valley station. This means cable car fun and summer sport enjoyment are virtually on the doorstep. For example, the XP Adventure Park: For young and old: Brilliant forest rope park for climbers: At up to 12 m high, you can swing from tree to tree with the Flying Fox and test your skills on different courses. A comfortable connection for the whole of Pitztal from Arzl to Mittelberg/St Leonard: a modern bus system available free of charge for our guests. The Pitztal Regio Bus ticket, which you will get from us at Hotel Venetblick, is a valid ticket. Family paradise Pitztal in summer. Always worth a trip! 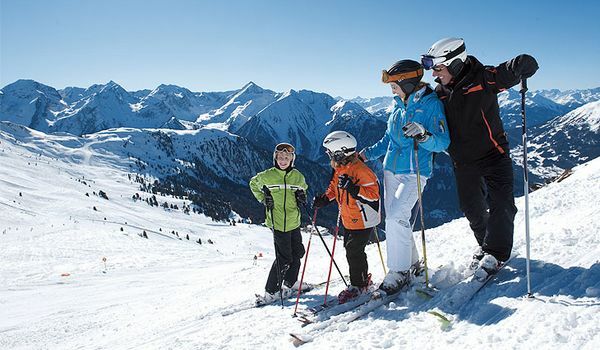 All our young guests (up to 15 years of age) at Hotel Venetblick automatically receive the free Pitztal Leisure Pass for their summer holiday in Pitztal. 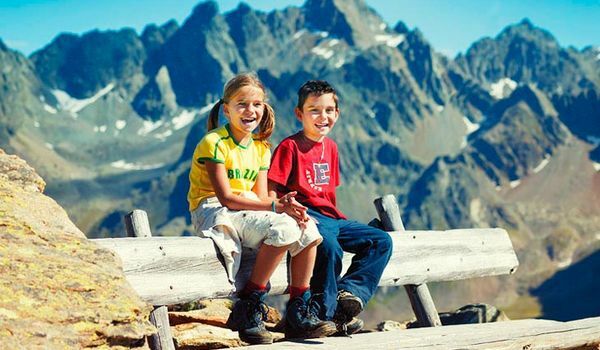 This includes participation in guided hikes, mountain biking tours, Nordic walking tours according to a weekly programme, free participation in Pitzi’s Kids Club and various discounts at different organisations in Pitztal. The Pitztal Leisure Pass costs € 5 per person for adults. There is a leisure park for young and old by the tennis centre in Wenns. The new bathing lake offers fun and games for kids as well as enough space for serious swimmers. Another summer holiday highlight in Pitztal. Wenns is only 10 minutes away from Hotel Venetblick in Jerzens. Get all the latest news and exciting offers.